Met up with Justin & Seth at the range today. I was going to shoot a little bit with my camera and then the gun. It was an awesome time, despite the freezing cold. 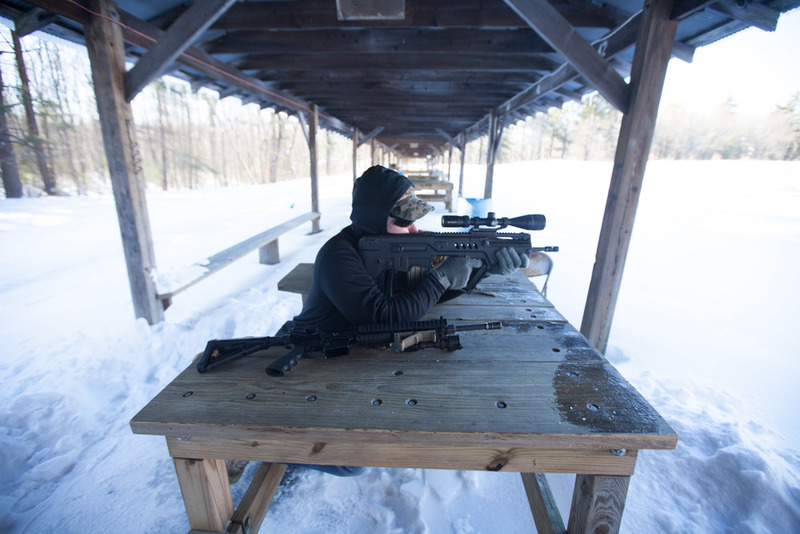 Seth and Justin got all setup, setting a target down range and clearing off some of the snow in our area. 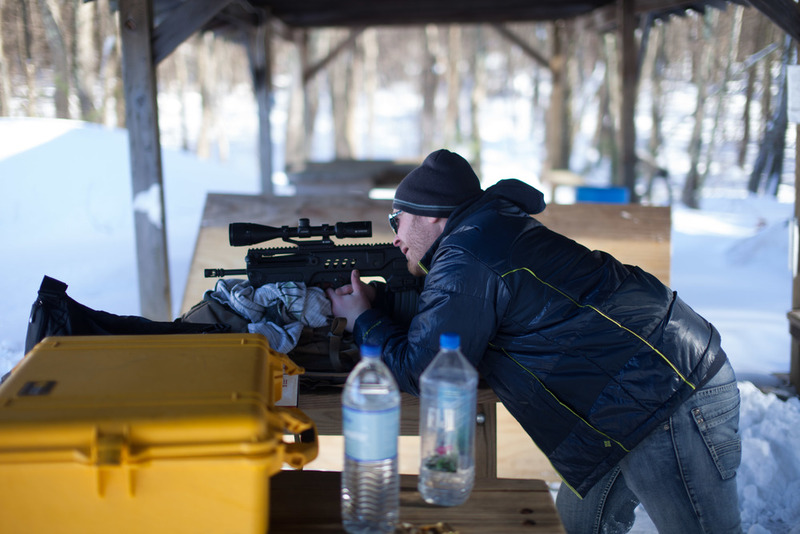 Seth is ex-military and an amazing shot, pistol or rifle. Justin is something more of an intense hobbyist. Justin makes his own ammo and explained it to me in great detail, I would hurt myself at some point if I did my own i'm sure. Justin always has the coolest toys. After getting the chance to do some shooting of my own I realized that I really need to get my own LTC (License to carry). It was fun and especially more gratifying when I hit the steel target 100 yards away, the small tin noise it produces makes it all worth it. Seth is actually able to hit the 100 yard target with just a pistol. I was very impressed after hearing about the army's proficiency at the range and seeing it in person. By the end of my time there It was getting really hard to shoot. My body was shaking so much that I could barely hit the target dead center like I usually do. Of course i'm joking, but it was a bit cold and my fingers were getting numb and I also had to get going for a meeting. So it was nice to climb back into my Prius with the heat cranked and a cold bottle of water. So here's a few photos from the afternoon. Thanks again to Justin & Seth for bringing me along.